2. Select Preferences and move the mouse pointer to the right. 3. Select Background and move the mouse pointer again to the right. 4. Select the desired background. The current active background is indicated with a checked check box. enabled and when enabled, the color can be the default color (blue) or a custom selected color. 3. Select Active Node Intersections and move the mouse pointer again to the right. 4. 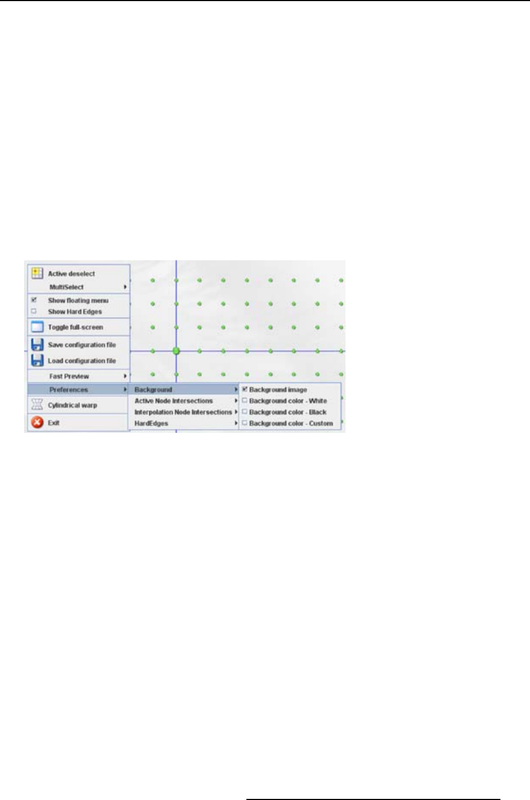 To disable the active node intersection, select Disable Active Node Intersections. To use the default color, select Active Node Intersection color - Default. The check box in front of an item indicates which item is selected.